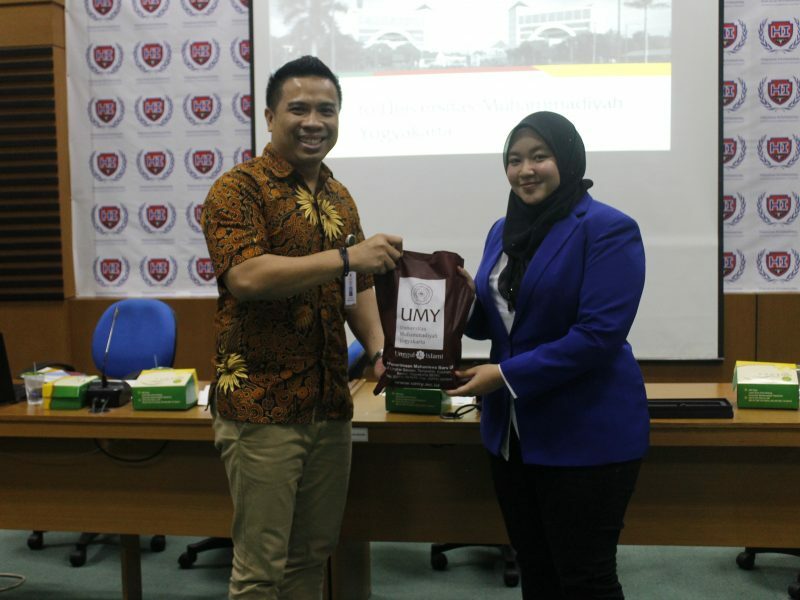 Univeristas Muhammadiyah Yogyakarta (UMY) still gain its International reputation among the partners across the world. One of the partners is Universiti Utara Malaysia (UUM). On August 3rd, 2018 at ruang Simulasi Sidang Ilmu Hubungan Internasional UMY, Gd. E, 1st floor, the delegates of UUM visited UMY. The delegates are consisting of 13 students and led by Madam Mazita Binti Mohamed, as an Advisor. On the occasion, the delegates are welcomed by Mr. Yordan Gunawan as a Director of Office of International Affairs UMY, the staffs, and representation of UMY International Program’s Students. The agenda starts with the speech from the delegation of both University and continued with the introduction on either institution and discussion. The visitation was ended by token appreciation and group photo with all the distinguished guest. But before the sessions were done, Mr. Yordan emphasized: “Indonesia and Malaysia are a sister in Nusantara, which had unseparated blood-tie.” By this visit, UMY and UUM are hoping it strengthen the cooperation for both parties.